A great product released at the perfect time still needs two things to succeed – attention and credibility. Whether you’re trying to attract users, establish trust or grab the attention of potential investors, you’re going to need to spread your startup’s story – and that means getting a handle on PR. To explore how to do just that, I had a chat with Lucy Allen, General Manager and Head of Bay Area at Edelman, a leading global communications and PR firm. Lucy’s spent the past two decades working with technology companies of all sizes – from young startups to the likes of SAP and Adobe – to build their profile and share their stories. Our conversation covers what actually makes something newsworthy, why conversational interfaces are changing the PR paradigm and much more. If you like what you hear, check out more episodes of our podcast. You can subscribe on iTunes or grab the RSS feed. Conversational interfaces are a place where company reputations will be formed and users perceptions will be created. As a result, product builders need to work with the communications team to shape the experience. Business media cover two things: people and money. If your story can’t talk about the people whose lives it’s affecting, or doesn’t talk about money in a way that’s meaningful to consumers or shows how you are moving markets, it’s going to difficult getting it picked up. When a startup doesn’t have vast numbers of customers or a large partner ecosystems to talk about yet, the story of its founders is key to establishing credibility. The communications goal for a Series A company is to gain credibility and an understanding of your technology. The Series B and C stages focus on lead and revenue generation. Social media affects every department in your organization, so having an expert owner or group will help move your overall digital strategy forward. Jennifer Kutz: Lucy, welcome to the show! You have about 20 years of PR and communications experience in the Bay Area. Can you give us just a quick overview of your career trajectory and the types of clients that you’ve worked with? Lucy Allen: As you said, 20 years in technology, predominantly marketing and PR for technology companies. I actually started my career in the U.K. working with large brands like SAP and BT, but in the 14 years that I’ve been in the Bay Area, I’ve predominantly worked with startups and late-stage private companies in a range of tech fields. More recently in my role at Edelman, we’re working with companies across a range of sectors. There’s a strong presence in technology but also in healthcare, consumer goods, consumer services, food, beverage, and education and finance. Jennifer: One of the reasons we were excited to have you on the show was a recent blog post you wrote about chatbots. In this scenario we are characterizing a bot as any conversation that happens between a business and a consumer through a messaging interface with a level of automation. This could be through a concierge service, a customer support scenario, or even ordering a pizza through Facebook Messenger. In your opinion, what role should communications play in a chatbot strategy? Lucy: Communicators need to recognize that a lot of news consumption will happen through chatbots in the future. It’s already happening. Messaging apps have overtaken social networks in terms of monthly active users. Think about how much news we consume or have consumed through social networks and how much we’re likely to be consuming through bots. As a communicator you need to be ahead of that. The bigger picture here is that this is an indicator of a general trend towards the fusion of PR with product. It’s no longer the case that PR’s job or a communicator’s job is to wait until the product is fully baked and then promote it. It’s our job to really understand and implement and be part of the product itself. With the chatbot, the channel of communication is actually part of the experience the user has with that brand. It’s part of the core service the company is providing. Reputations will be formed and perceptions created at the chatbot interface. It’s really important, from a communicator’s perspective, that experience is aligned with the overall perception and reputation that you want to create for your company. Jennifer: How should a chatbot’s voice and tone mesh with the overall brand? Lucy: We’re still in the early days. I don’t believe that we’ve established best practices yet. At Edelman we estimate there are 50 to 100 large brands that have a messaging app of some sort. There’s an opportunity for people to build a significant audience by getting in early. A lot of the media companies were the first to try this. Wall Street Journal and Business Insider, for example, do a good job of engaging with their audiences in a way that is aligned with the editorial voice that they’re very well known for, and that’s consistent across their other channels. They’re a good example. When it comes to non-media brands, a lot of those organizations range widely. Many are using bots for a particular function to help create a sense of an exclusive community – alerts and special offers and promotions – and those include brands all the way from luxury retailers like Burberry through to the NFL. Everybody’s learning. I don’t think there are examples yet that we can point to of people that have made catastrophic mistakes. In my blog post I highlighted that a company (Slack) experimented with a more humorous tone of voice, which ended up not resonating, and so they adapted. That’s an example of the kind of learning experience that all brands are going through. Jennifer: In the world of PR we talk a lot about various sorts of media – paid media, owned media, earned media. We tend to be a lot more focused on the earned media side of things. In your post you mentioned that chatbots are in a new area, which you have characterized as “experienced media”. How do you define that term and what do you see as the opportunity there for startups? Lucy: Experienced media or experiential media is really more of a trend where we see the channel of communication fusing with the experience of the core product or service that the brand is providing. Another example is virtual reality or augmented reality. We think about chatbots as conversational experiences. 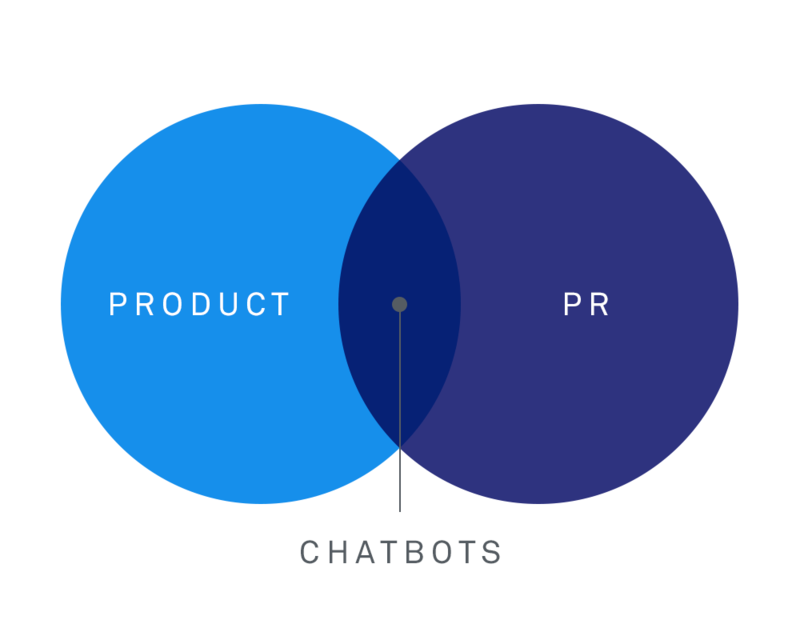 Edelman issued its annual digital trends report at the end of December, and there’s actually a chapter in there for anyone who’s interested in learning more about how chatbots can affect the way communication works. The big opportunity there is that through those conversational experiences, we’ll start to see them introduced into the home through “hearables” and devices like the Amazon Echo, or into cars. They’re already strongly present throughout the office through enterprise collaboration applications and tools. They’re already available on mobile devices, of course. That is one reason why these conversational experiences represent such a significant opportunity for communicators. The ability to get in front of a much wider audience and to be much more pervasive and connected to the way we live our lives. Jennifer: You’ve worked with quite a few in startups in the past. When is the best time for a startup to build out its PR plan? How do they know they’re ready? Lucy: Like all good communicators, my answer is “it depends”. It depends on how you define PR. If you’re defining it in an old-school way, as just media relations, then the answer is you’re ready when you have a really strong story to tell. However, PR is not really just media relations anymore. In today’s society, as we all know, we have to earn attention and credibility. It can’t be just bought or demanded. As a result, earning attention is part of any aspect of marketing. In content marketing, for example, you have to make sure that your content stands for itself and will earn attention from readers. If you look at it through that lens, you’re ready from the get-go. Every organization needs some level of “PR”, because everybody needs to earn the right kind of attention or credibility at some point. Jennifer: You should always be thinking about a reputation unless you’re deliberately not trying to have a reputation yet. PR is not just media relations anymore. Lucy: Absolutely, there may be reasons why you’re in stealth or you’re very laser-focused on a particular set of limited customers. Even then you should be thinking about not necessarily going out and promoting yourself and beating your chest, but about earning credibility. This takes us on the topic of trust. Mistrust and fear in our society are at unprecedented levels. As we’ve seen from numerous articles over the past few months, the technology industry will continue to bear some of the blame for that. All tech companies, all sizes, need to be prepared for that, need to be able to look around the corner and ensure that the way they’re positioning themselves is going to resonate well with their community, demonstrate they have empathy and help offset potential negative consequences down the line. Jennifer: What characterizes a really strong story? In other words, what’s newsworthy and what’s something that you can rely on to take to the press? Lucy: News is the psychology of the unexpected. If your news story doesn’t pass the “so what?” test then it’s not a news story. If it doesn’t somehow surprise the reader or tell them something they didn’t already know, then it’s not news. As an internal communicator or a communicator of any sort, you really need to be harsh on yourself when assessing the value of your news. The other way I think about this is, business media typically writes about just two things: people and money. If your story doesn’t have a strong human element and can’t talk about the people whose lives it’s affecting, or it doesn’t talk about money in a way that’s meaningful to individuals, to consumers, or that shows how you are moving markets, then it probably doesn’t have the right ingredients for a news story. That’s a good guide mark to ensure that you don’t just get lost in the weeds of your product, but that you think about the wider ramifications of your story. 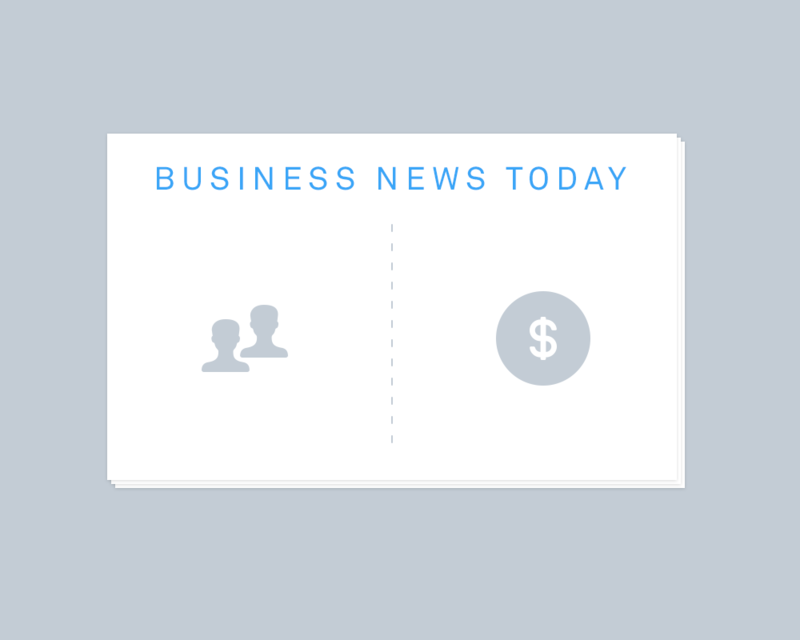 Anchoring your startup’s story to money, people or both is the key to getting the attention of business media. Jennifer: You’ve spoke about how news stories typically fall into several buckets. There’s the big buckets of money and people, but you also said a news story can be characterized as novelty, celebrity, scandal, hardship and danger to the community. I always found that a really useful guideline. Lucy: A lot of those can sound very negative. The art is figuring out how to take something that can feel like a negative, like hardship or danger to the community, and figuring out how that can be applied to you. It doesn’t actually mean that you have to be telling negative stories or piggybacking on negative stories. You just need to think about what’s going to surprise and deliver something new. Lucy: You’re absolutely right. If you look at storytelling over centuries, every story has a story arc. You can’t have a story arc without there being some kind of hero struggle, an obstacle for the protagonist to overcome. If you don’t have the arc, you just have a flat line. That’s not exciting for anybody. To your point specifically, a startup may not have vast numbers of customers or great big partner ecosystem to talk about yet. What you do have is your founders. A lot of the value for those private companies comes from the credibility of the founders. The founders’ story, and not just the story of founding the particular company that you’re working on at the moment, but the founders’ history and credibility, is really important. You can tell that in a series of resume-like bullet points. You should also tell that through the form of your own personal story. What are some of the challenges that you’ve faced? That will resonate much more. Jennifer: A lot of startups, especially once they become VC funded, think about enlisting a PR agency. How does a company know whether that’s the right decision for them? What’s the pros and cons of perhaps keeping PR in-house or working with an agency? Does company size affect that in some way? Lucy: There are typically three phases that a startup goes through in terms of their communications needs. For the sake of simplicity, I’ll tie that to the different funding rounds, although of course it’s different for every organization. At Series A, your needs are usually more focused around getting credibility and understanding of your technology. Your proposition is likely to be not part of an existing category. If it is a part of an existing category, it’s at least a new perspective on it. There’s some education to be done. Getting attention early on is all about making sure there’s an understanding with your very specific target audiences of what it is you’re trying to communicate. That may be best done internally, because those are the people who have an understanding of the technology or the products or the proposition. That said, that’s also the phase where you have a small team. You may not have a marketer or a communications expert in-house, so you many need to turn to somebody externally to help you take that message and communicate it. Second phase, B and C rounds, is when you’re more likely to be very focused on revenue generation. Almost everything you’re doing is geared around lead generation, customers, partners. The type of PR that you do will change and it needs to be tied in very tightly to your content marketing and lead generation programs. At that point, the needs become a little bit more complex and where you might need an agency is if you need specialist expertise. You’re starting to need a broader range of expertise and skill sets in-house and you may not have all of those. You might keep some of it in-house but you might work with an agency to bring in some of those capabilities. The third stage, once you start to get to D and E rounds, expansion- stage funding, that’s when you’re likely to be transitioning from a single product to a multi-product company. You may be looking to expand internationally. You may be thinking about a liquidity event. All of those things require not only additional expertise, you also need to work with somebody who’s done that before. Or they work with an agency partner to help them go through that process. Once you start to look at regulatory challenges and more complex international communication challenges, the safety net of knowing that somebody has done it before is really important. Jennifer: Social media is still hugely important and a big part of many companies’ marketing and communication programs. A while ago it was held up as this Holy Grail of the future of PR and marketing. Things have changed pretty rapidly. In my opinion it has turned largely into a paid platform. It’s hard to get a lot of attention unless you either have a very, very big audience, which many startups are not going to have for a long time – if ever, or you’re throwing some money behind it. What are your thoughts on that? Is messaging going to take that on? Will messaging become what we hoped social media would be? Lucy: There is a lot of content pollution. The other issue that’s affecting paid media is bot fraud. It cost advertisers something like $7.2 billion in 2016. That’s a big concern. We are still fairly early in seeing what social media can do to help us to change the way we engage with our audiences. Is there an opportunity still to do organic social media? One of the things that social media has done is create a whole new generation of influences. I think organizations right now are really just starting to understand how best to work with those influences. Some of that’s paid, some of it’s not. That’ll continue. One of the other things that we’ll see happen as a result of the concerns about ad-blocking, bot fraud, and fake news, is a move towards more tangible but still digital forms of communications and advertising. Out-of-home digital advertising is one, podcasting is another. We’ll start to see more of that happening. Jennifer: On a more practical level, social media ownership is something I’ve seen every company do a little bit differently. Maybe they’ve got a dedicated owner in charge of social. Sometimes it’s the step-child that is not really owned by anyone. Other times different parts of it are owned by different parts of an organization. What, in your experience, tends to work the best? Lucy: Where we’ve seen it work the best is when you have a social media center of excellence or practice expert. You have a team of people or an individual who, depending on your size, is constantly studying the latest developments and best practices and can provide that expertise across the organization. 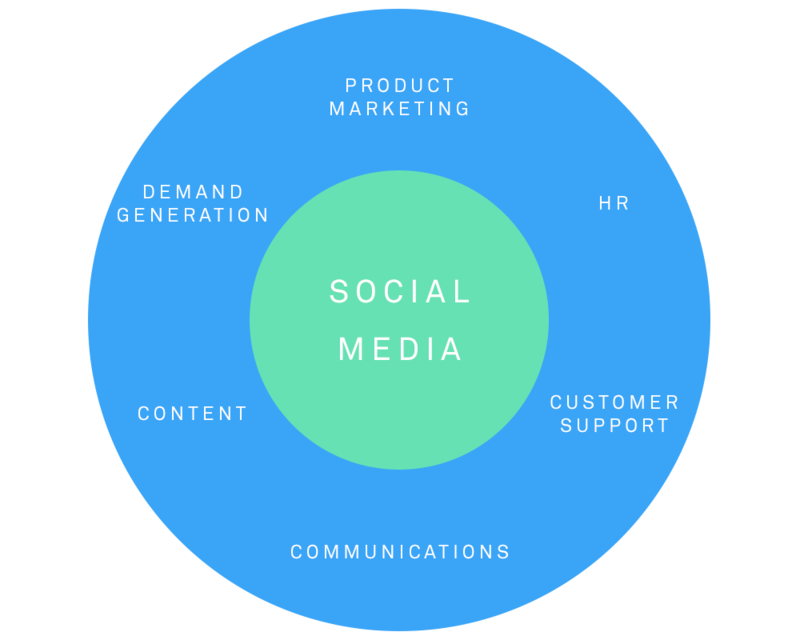 When it comes to actually implementing social media marketing programs, social media actually affects every department within an organization. You’ll need your social media marketing organizations. You’ll need your customer support. You’ll need your talent management and HR. You have all these different stakeholders and all these different functions. We are seeing more routine community management aspects of social media going away. Some of them are starting to be automated, some of them are less high-value exercises. It still needs to be done. Having that center of excellence to be able to move your overall digital strategy forward is really important. That can serve as a hub for the other functions of the organization. Where is PR headed next? Jennifer: What is PR going to look like in five years? What’s next for us? Lucy: Yes, we’ll see lots of new, shiny things appearing in PR. Hopefully PR budgets will change and so communications officers will start to adopt some of the technologies in the way that chief marketing officers have. We’ll start to see greater use of AR, VR, and wearables. We’ll start to see greater use of different digital technologies spanning paid media all the way through to organic and owned, greater emphasis on content. I think the biggest change is more of a structural one. We talked about how to structure social media within startups. The bigger trend there is how communications and marketing will actually be structured within organizations as a whole. In five years time we may not have two completely separate functions: communications and marketing. It may all be one. Some of the traditional silos between the different marketing disciplines will go away. Instead, marketing organizations will be structured around the customer – different experiences those different customers need to have in order to be engaged with your company. That’ll probably be the big challenge. Organizations are really struggling with how to structure themselves for today’s reality versus where they know it’s going in the future. Jennifer: Great. Well Lucy, it’s been wonderful having you on the podcast. Thank you for joining us. Lucy: Thank you. I’ve enjoyed it.